When I met Eileen Schlegel, the Director of Pottstown Parks and Recreation Department, in her new digs at Borough Hall, her office was a bit chaotic. The Department had recently moved from longtime quarters provided by the School District, and they were still in transition. While they made the move, though, they still had ongoing park maintenance and lots of events to support. As this series is unfolding, it should be obvious by now that Pottstown’s Parks and Recreation Department manages many acres and all kinds of equipment. Ms. Schlegel could not say enough good things about the four-man crew that maintains all of it. 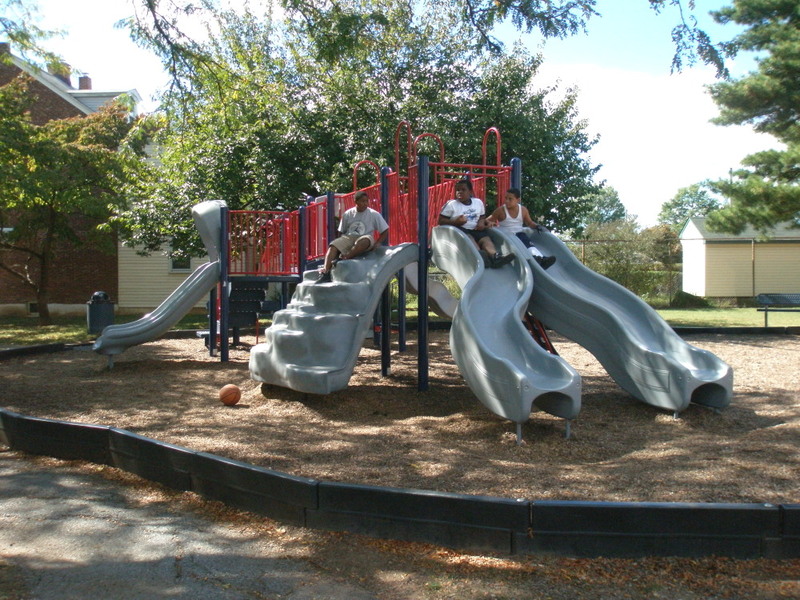 I had already visited the mini-parks in the South End of Pottstown – Cherry Street, South Street and Pollock Park – and had a few questions for Ms. Schlegel. 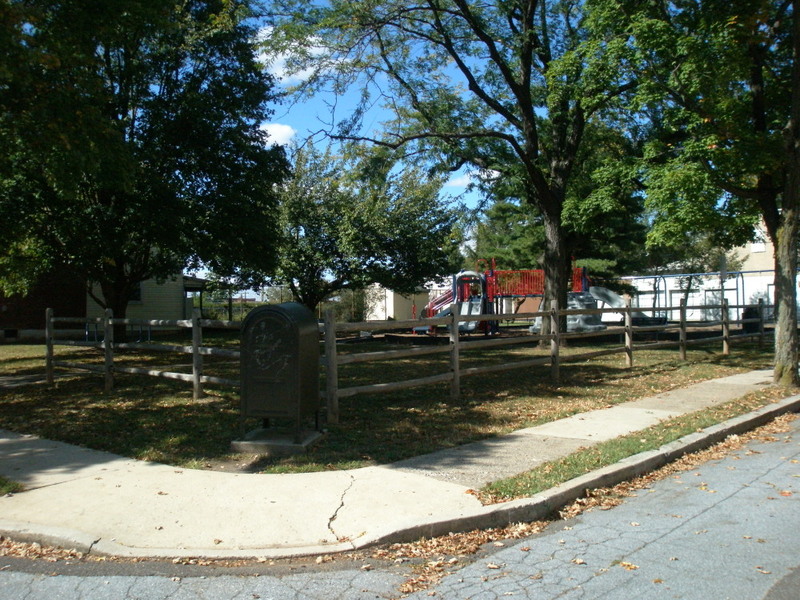 Cherry Street Park is at the corner of Cherry and South Evans Street. It is mostly shaded and has a split rail fence around it to delineate boundaries for younger visitors. 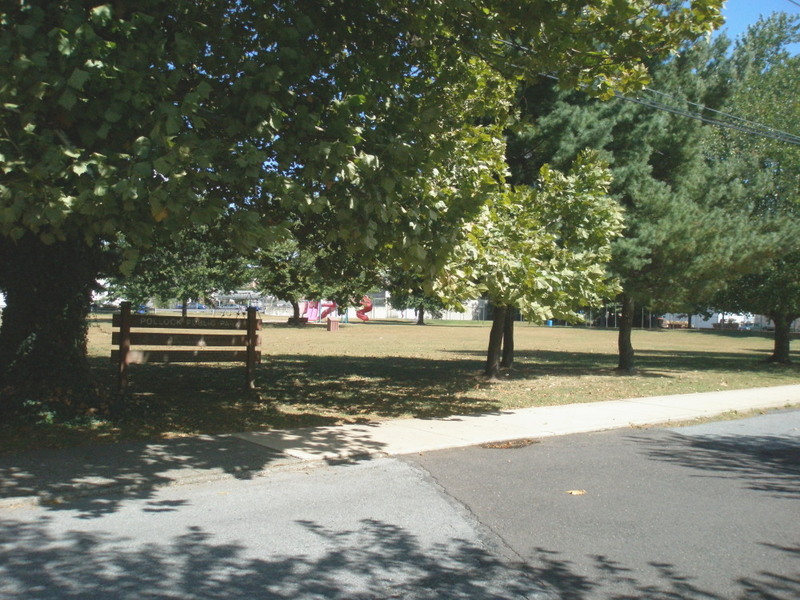 At just a quarter-acre in size, it offers a playground, table, benches and some open space, similar to the pocket parks we visited in central Pottstown yesterday. At Cherry Street, I met up with a group of guys with a basketball, in search of a hoop. They took a few minutes to pose for a photo instead. 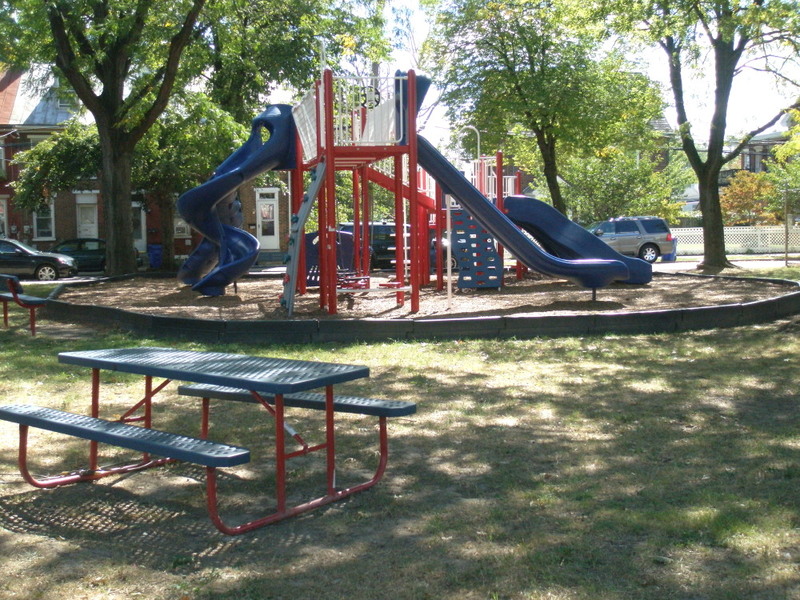 Just a few blocks away, South Street Park is tucked into a quarter-acre lot on South Street near the intersection with South Washington Street, between the Holy Trinity Social Club and some row houses. The red, white and blue playset made me feel very patriotic and vaguely maritime. 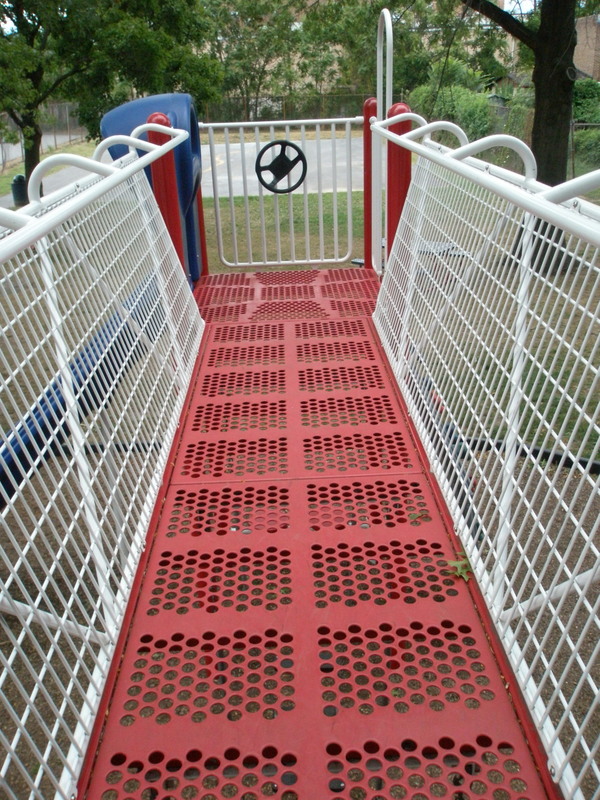 It has also got a doozy of a slide that gives a fast, bumpy ride! 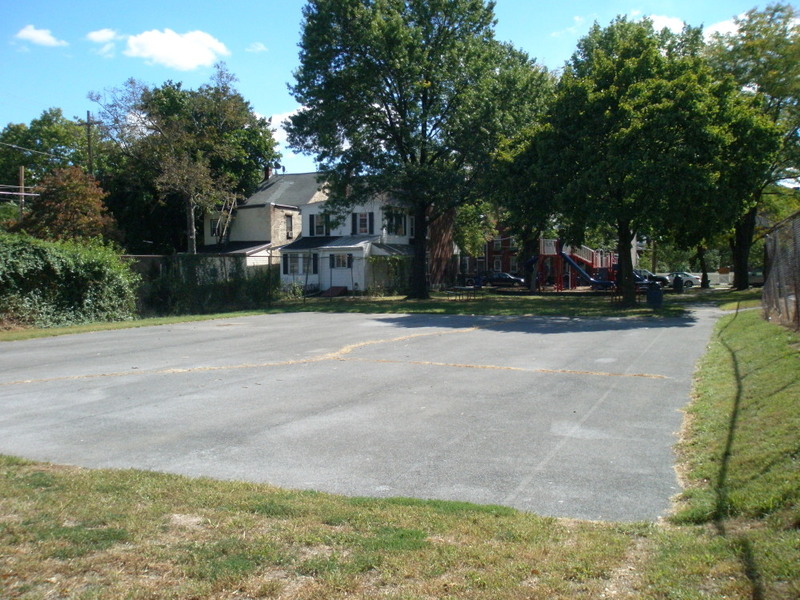 An additional feature of South Street Park would be a full-court for basketball. I say “would be” because right now there are no poles or hoops on the large blacktop beyond the playground. In talking with Ms. Schlegel, I learned that they already have the posts and hoops for basketball courts at South Street and at Terrace Lane Park in the North End (we’ll visit there tomorrow), and funds are available for re-surfacing. Right now the Department is locating the right equipment to properly set the posts. So, keep your fingers crossed that these projects can be done, and the blacktop spread, before the cold weather sets in. Now, continuing eastward, let’s head to Pollock Park. 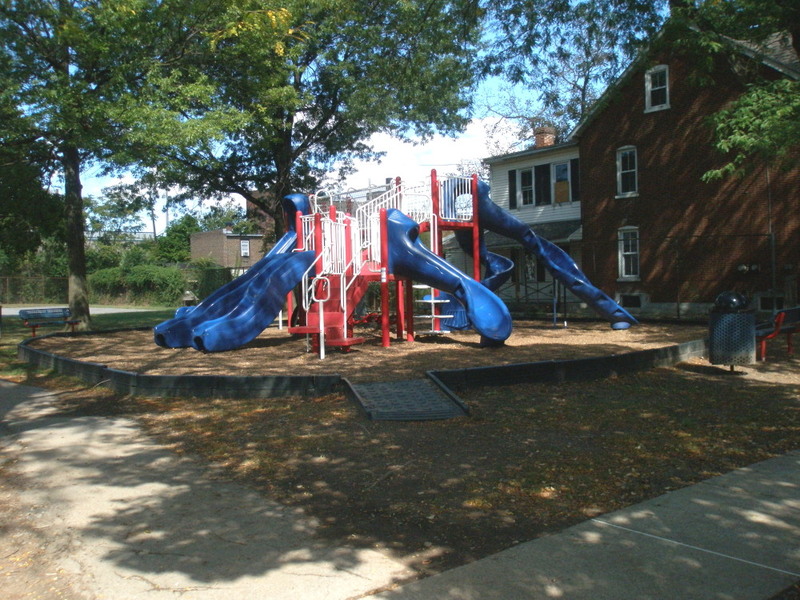 Although Pollock sits in a triangle bordered by South and Cross Streets, you can’t go directly from South Street Park over to Pollock. You can go up to High Street, turn right to head east, turn right at the Post Office onto Madison Street, and then bear to the left at Cross Street. 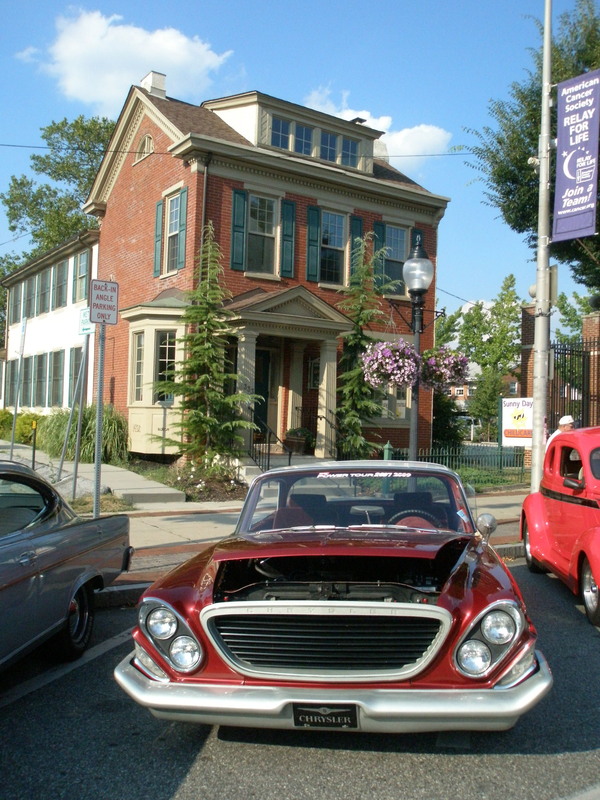 In another block, you can either go left onto South Street or stay to the right on Cross Street. The park will be up ahead. There’s a small parking lot on the Cross Street side. 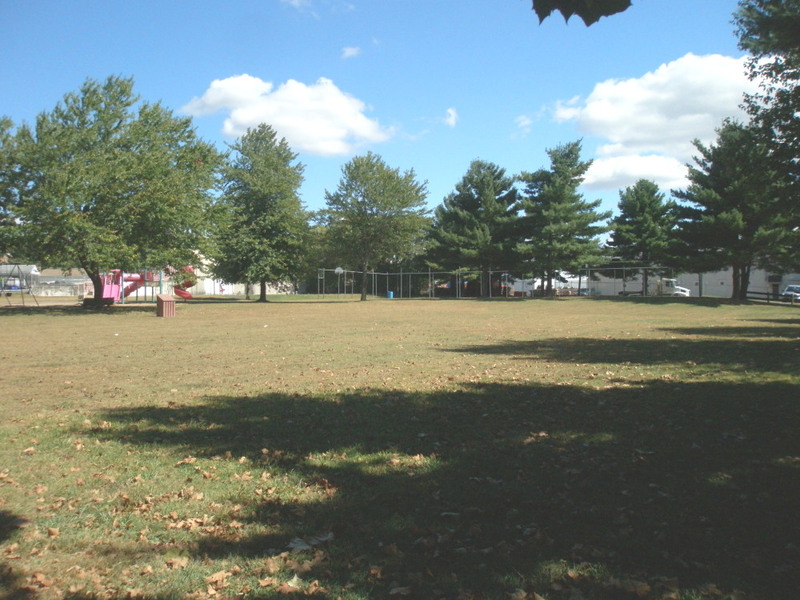 The one-acre Pollock Park has large, grassy fields and has been the site of P.A.L. soccer for years. Like the other mini-parks, Pollock has got good play equipment, swings and mature trees that let visitors connect with nature in what is otherwise a predominantly industrial landscape. Unfortunately, there are some drawbacks to the rest of the park, the only one in the whole Pottstown system. There’s a tennis court with no net, no fence and large posts ringing the court; the fence around the basketball court could be repaired in a couple spots; and the parking area and fence need work. The reality is that the funding for the mini-parks has run out, and it’s not yet clear what would be the best use of this park if/when funds become available. 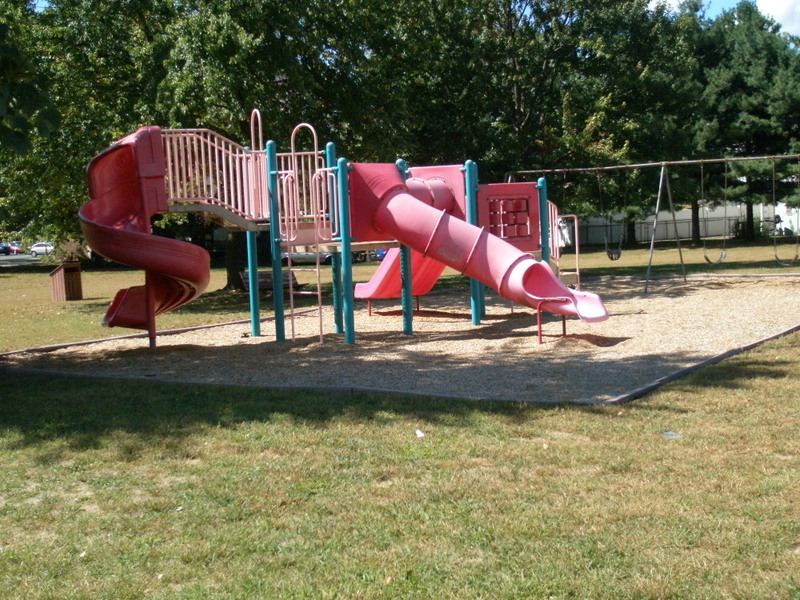 Borough Manager Jason Bobst said, “The Economic Development Sub-committee of Borough Council will soon be taking a look at the future of Pollock Park. This may eventually involve a design charrette process to figure out what the neighborhood wants,” he said. It would also include a look at the current demographics of potential users of the park. Are they young children, or skateboarders, or soccer players? On my visit to Pollock, I asked a couple guys who were shooting around, if this was a good place to find a game. According to Mr. Bobst, the Borough is using the Penn State parks study commissioned by the Pottstown Area Health and Wellness Foundation(sponsor of this series) to influence their decision-making as they go forward. “We’re analyzing what we already offer in all our pocket parks, and looking at what’s missing and what else we could offer,” he added. During the course of the Trail Town Conference held last week in Pottstown, Pollock Park was mentioned as a possible trailhead or information area for bikers coming off the Schuylkill River Trail and entering Pottstown. It is not known exactly what facilities or how much parking might be needed for that kind of use. All possibilities need to be looked at in context and discussed with the neighborhood and other stakeholders in the course of coming up with an agreed-upon plan. And then considered again in light of available funding. View of Pollock from Cross St.